GREENBELT, Md. (NASA PR) — Technology drives exploration for future human missions to the Moon, Mars and beyond. For spacecraft to journey farther and live longer, we’ll need to store and transfer super-cold liquids used for fuel and life support systems in space. In December 2018, the Robotic Refueling Mission 3 (RRM3) launched to the International Space Station to do just that — transfer and store cryogenic fuel in space for the first time. SINGAPORE, October 31, 2018 (Astroscale PR) — Astroscale Pte. Ltd (“Astroscale”), the market-leader in developing a space debris removal service to secure long-term spaceflight safety, obtained additional funding of US $50 million from a group of investors led by INCJ Ltd. (INCJ), and including funds operated by SBI Investment Co., Ltd. (SBII) and Mitsubishi Estate Co., Ltd. (Mitsubishi Estate) among others. LONDON (Mattereum PR) — Mattereum has announced a partnership with SpaceBridge Logistics, а company building a marketplace for in-space tug services at the intersection of aerospace and blockchain. Pioneering London based legaltech firm Mattereum has signed a Memorandum of Cooperation with SpaceBridge, a space logistics company described as the “Uber for space”. ssl PALO ALTO, Calif. (SSL PR) – SSL, a Maxar Technologies company (formerly MacDonald, Dettwiler and Associates Ltd.) (NYSE: MAXR) (TSX: MAXR), and a leading provider of innovative satellites and spacecraft systems, announced today it was selected by NASA for two separate public-private partnerships to develop two vital “Tipping Point” spacecraft technologies. Space News reports that a company run by the former CEO of Deep Space Industries plans to develop orbiting fuel depots. GREENBELT, Md. (NASA PR) — Satellites are crucial to our everyday lives, but cost hundreds of millions of dollars to manufacture and launch. Currently, they are simply decommissioned when they run out of fuel. 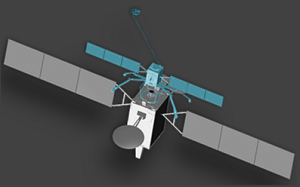 However, there is a better way: satellite servicing, which can make spaceflight more sustainable, affordable and resilient. 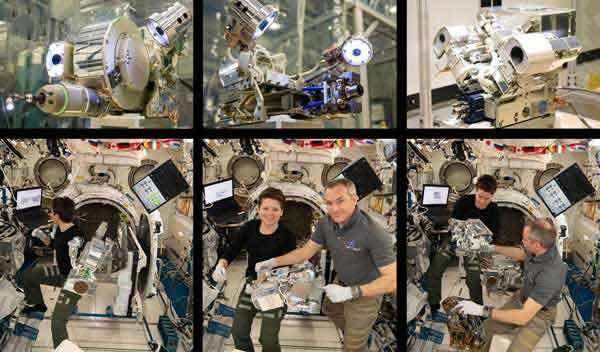 NASA’s satellite servicing technologies are opening up a new world where space robots diagnose, maintain and extend a spacecraft’s life. 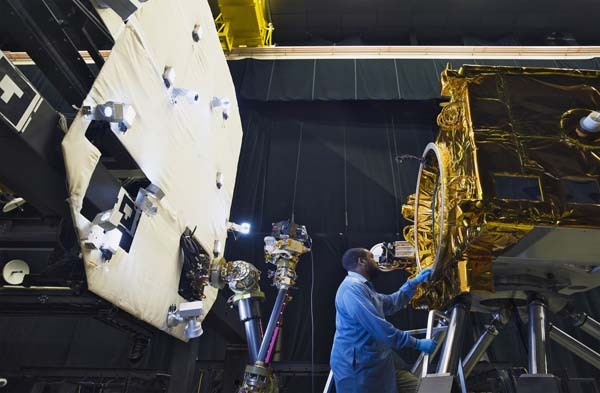 At NASA’s Goddard Space Flight Center, a 10 by 16-foot robot tests satellite servicing capabilities on Earth before they’re put to use in space. Sitting on top of the six-legged hexapod is a partial mock-up of a satellite. Mounted to a panel close by is an advanced robotic arm. Together, these robots practice a calculated dance. As the hexapod moves, it mimics microgravity as the robotic arm reaches out to grab the satellite. At NASA, we’re working to prove the combination of technologies necessary to robotically refuel a satellite in orbit that was not designed to be serviced. 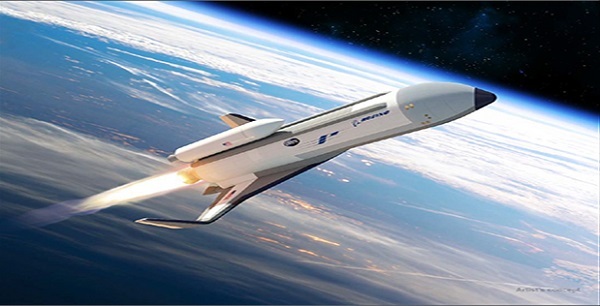 The same technologies developed for the Restore-L project will advance in-orbit repair, upgrade and assembly capabilities. The ground demonstrations take place in Goddard’s Robotic Operations Center. The hexapod robot was built for NASA by Mikrolar, a New Hampshire-based company. Video Caption: During this year’s SATELLITE 2018 Conference and Exhibition, Orbital ATK, a leader in the emerging space logistics market, debuted the next generation of in-orbit satellite serving technology with the introduction of Mission Extension Pods (MEPs)™ and the Mission Robotic Vehicle (MRV)™. 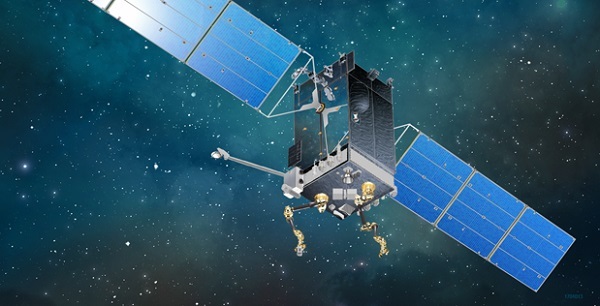 These two products join Orbital ATK’s Mission Extension Vehicle (MEV)™, creating a suite of in-orbit satellite servicing products focused on extending the life of existing satellites. GREENBELT, Md. 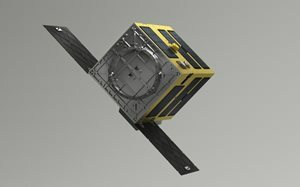 (NASA PR) — One test changed the fortunes of an advanced 3-D imaging lidar system now baselined for NASA’s Restore-L project that will demonstrate an autonomous satellite-servicing capability. 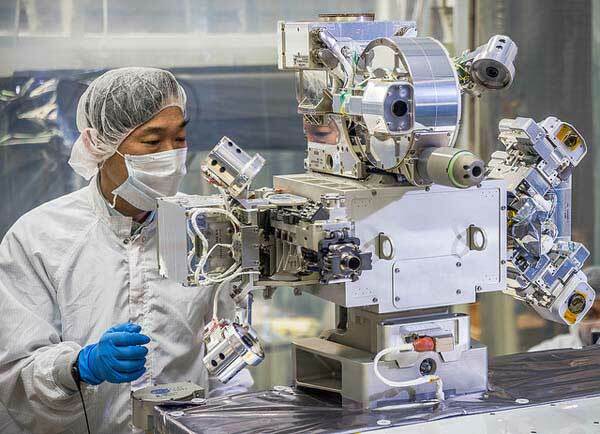 Officials with NASA’s Satellite Servicing Projects Division, or SSPD, have officially baselined the Kodiak system — formerly known as the Goddard Reconfigurable Solid-state Scanning Lidar, or GRSSLi — to provide real-time images and distance-ranging information during Restore-L. 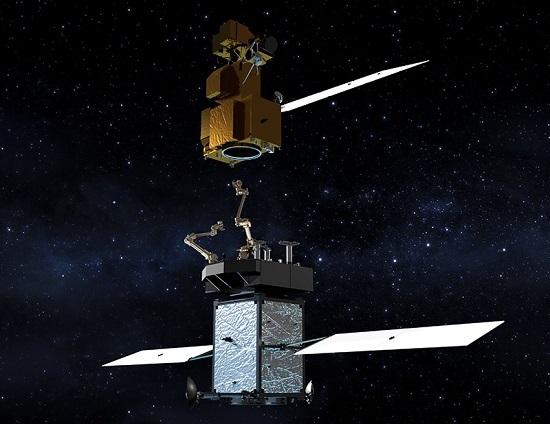 This project will demonstrate how a specially equipped robotic servicer spacecraft can extend a satellite’s lifespan — even one not originally designed for on-orbit servicing.